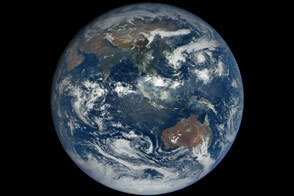 Earth loses several hundred tons of its atmosphere to space every day. In particular, oxygen escapes when it harnesses enough energy from the energetic collisions that produce the northern lights. 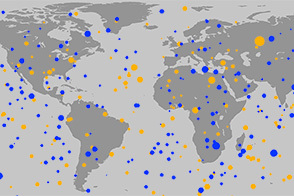 Scientists have a good understanding of this atmospheric escape on the night side of Earth, where, atmospheric losses tend to happen in high-energy bursts. 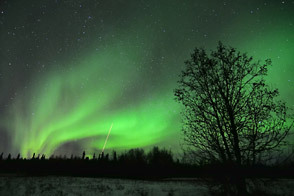 But losses also happen during the aurora on Earth’s day side, and scientists want to know the locations and strength of these fountains of gas shooting out of Earth’s atmosphere. 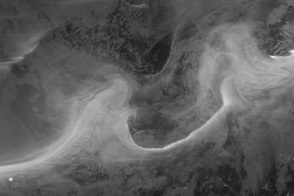 No two outflow events are exactly the same. To get a detailed look, researchers with the Visualizing Ion Outflow via Neutral Atom Sensing-2 (VISIONS-2) mission loaded cameras and instruments on a pair of sounding rockets. These small rockets can make targeted flights to space and then fall back to Earth—a good way to map the oxygen outflow during a potentially short-lived aurora. 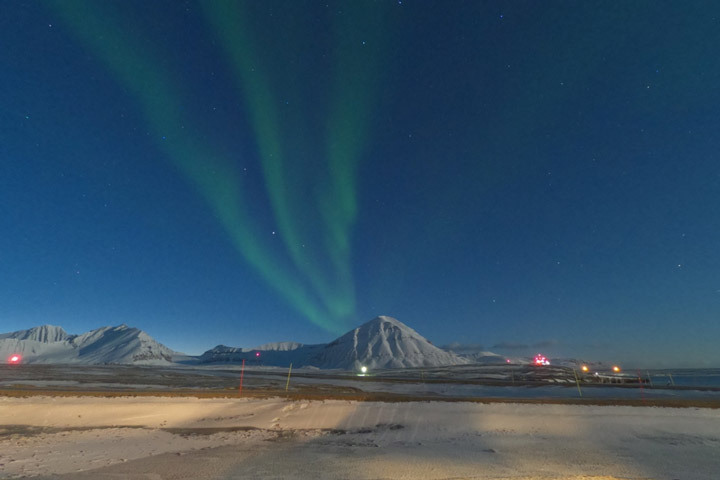 The researchers staged the rockets in the town of Ny-Ålesund, Svalbard (Norway), and waited for the aurora. On December 7, 2018, they pounced. The first photograph, shot by Allison Stancil-Ervin of NASA’s Wallops Flight Facility, is a long exposure showing both rockets as they launched at 12:06 p.m. and 12:08 p.m. local time (11:06 and 11:08 Universal Time) on December 7. Although this is the day side of the planet, there is no daylight at this time of year in Ny-Ålesund. At the time of launch, it was nautical twilight—named for the level of light that makes it possible to discern the horizon and navigate at sea. The photograph shows the first stage ignitions and burnouts of the two rockets. 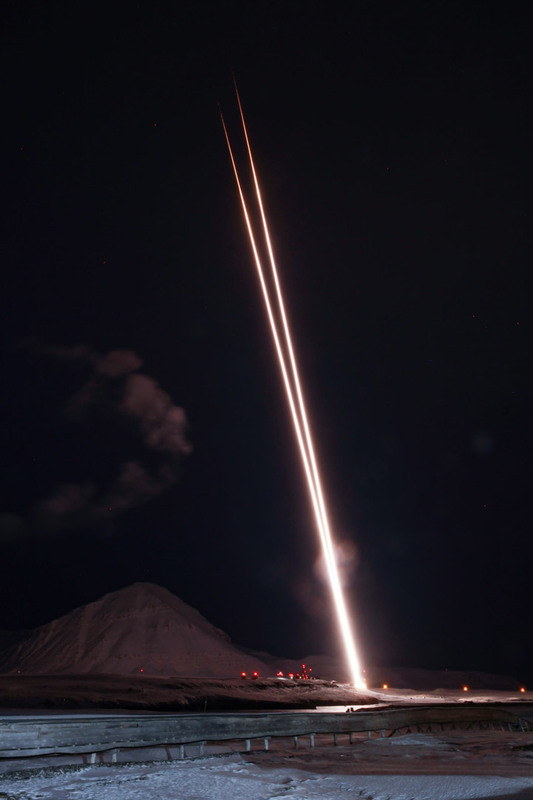 The smoke is from the first launch, illuminated by the trail of the second. The two-rocket approach allowed scientists to accommodate a variety of instruments—some that required a spinning platform and others that required a steady platform. It also allowed researchers to collect successive measurements along the path of the rockets, which is useful for things like tracking how the energy from the solar wind changes over time. The second photograph, shot by Ahmed Ghalib of the VISIONS-2 payload team, shows the aurora in Ny-Ålesund in late November 2018. A better understanding of atmospheric losses on Earth could inform our understanding of other planets; that is, how some became desolate and which ones might be habitable. 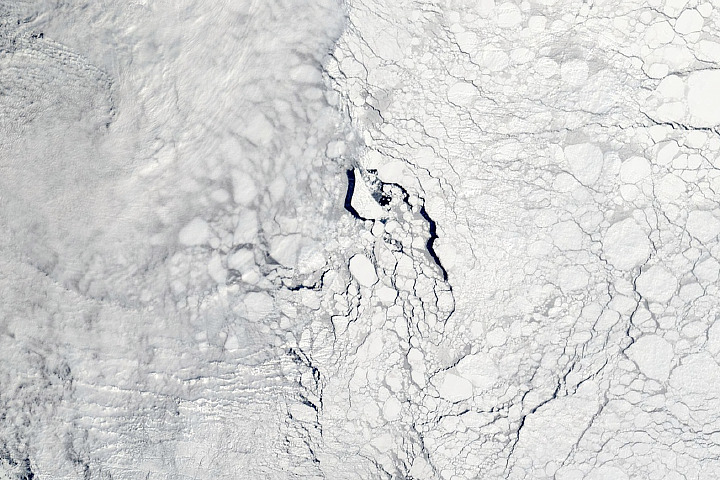 Until then, scientists can assure you that Earth won’t soon run out of oxygen. Even at the current rates of loss, Earth’s atmosphere should stick around for billions of years. VISIONS-2 is part of the multinational Grand Challenge initiative, which includes a series of 11 rocket launches over the span of two years. 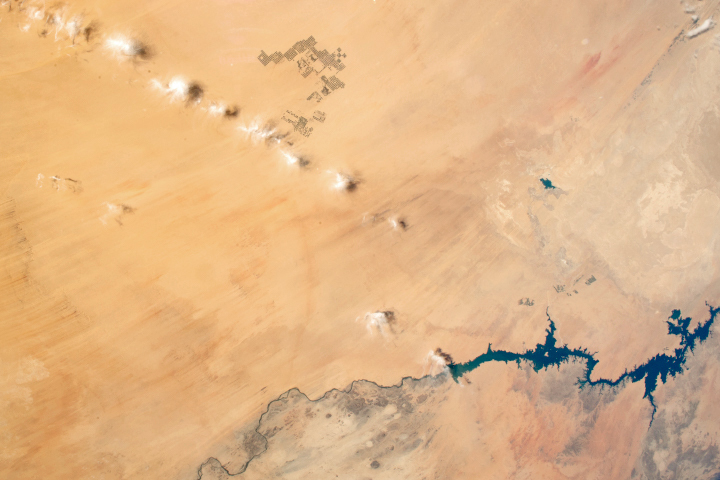 VISIONS-2 photograph by NASA/Allison Stancil-Ervin. Aurora photography by Ahmed Ghalib. Story by Kathryn Hansen based on materials by Miles Hatfield, Doug Rowland, and Keith Koehler. 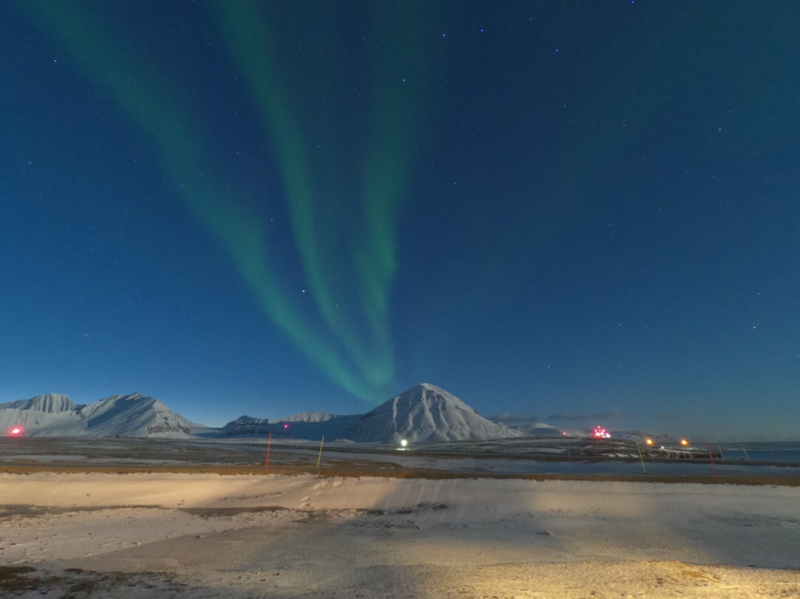 A pair of sounding rockets took aim at the aurora over Svalbard, Norway, to help scientists understand how Earth loses oxygen into space. 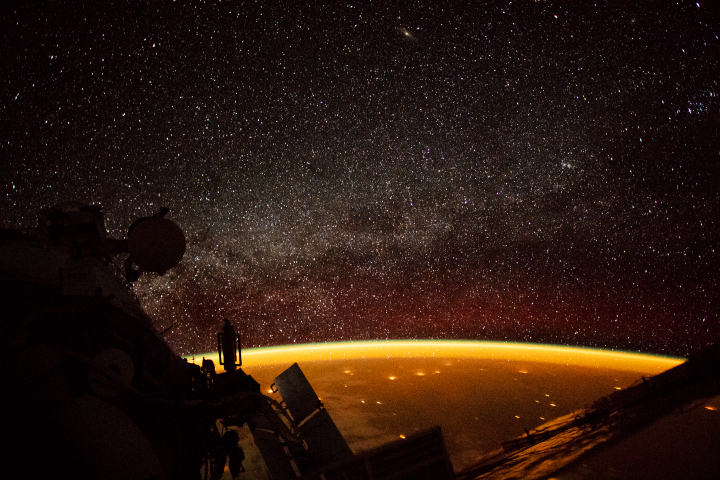 NASA Earth Observatory Blogs: Notes From the Field (2018, November-December) VISIONS-2: Imaging Earth’s Portal to Space. NASA’s Goddard Space Flight Center (2018, December 3) NASA-funded Twin Rockets to Tag Team the Cusp. Accessed December 14, 2018. NASA’s Goddard Space Flight Center (2018, November 30) To Image Leaky Atmosphere, NASA Rocket Team Heads North. Accessed December 14, 2018. NASA’s Wallops Flight Facility (2018, December 7) VISIONS-2 Provides a Look at Earthâs Escaping Atmosphere. Accessed December 14, 2018.